Autocropley reported today that the storied former Bremen brand Borgward bets on bringing its barges to Britain. Autocropley styles them as “affordable premium” which has the ring of the oxymoronic about them. The marque is already available in mainland Europe, selling the BX5 and BX7. Alas, Autocropley did not go into much detail about the prices, just saying they would cost less than similarly sized cars from Audi. Borgward’s own website is schtum on the matter. So, what are these cars like? The company say the “Borgward BX5 brings a breath of fresh air to the more compact SUV segment with its youthful design and embodies classic SUV qualities, such as versatility, spaciousness, comfort and off-road capability at the same time.” And they say it is “young, energetic and smart.” The BX5 is a shade under 4.5 m long and weighs around 1600 kg. The wheelbase measures 2685 mm. A 1.6 litre four-cylinder engine propels the vehicle and it has a 60 litre fuel tank (holding petrol, I presume). The BX7 “… belongs to the large mid-size SUV market, which is popular all around the world, and impresses with its confident appearance and innovative technology.” That means another 20 cm on the length and another hundred kilos of weight. The wheelbase is 2760 mm and the English website is mysteriously silent on the fuel tank capacity. What are they hiding? The German text is honest and upfront about the 60 litre tank. The engine is a “four-cylinder light metal inline motor, high-pressure direct injection with piezo injectors, turbocharger with intercooler, variable valve control, EGR”: about 2 litres. They offer only hide seating, I note but one is in alluring caramel with quilted stitching. The TS model has available grey cloth and comes in… white, grey and another dark grey, which they call “expressive”. That vehicle has a diesel motor. I’ve spent about 40 minutes to get this far and I have not found any USPs to focus on. I found two vehicles and three engines. What I notice is a coyness about prices. Autozeitung says the BX7 TS wil cost from 44,200 euros, so the other cars are going to cost less. If I was going to enter a new market with an unknown product I’d be quite clear what the price was going to be, so as to get the customer reading further. The other images and details describe a nice-looking but not extraordinary vehicle about to shoulder its way into a crowded, boiling segment. I saw a DS5 Crossback yesterday and it looked as nice as one of these types of vehicles can look and also looked quite undistinguished. 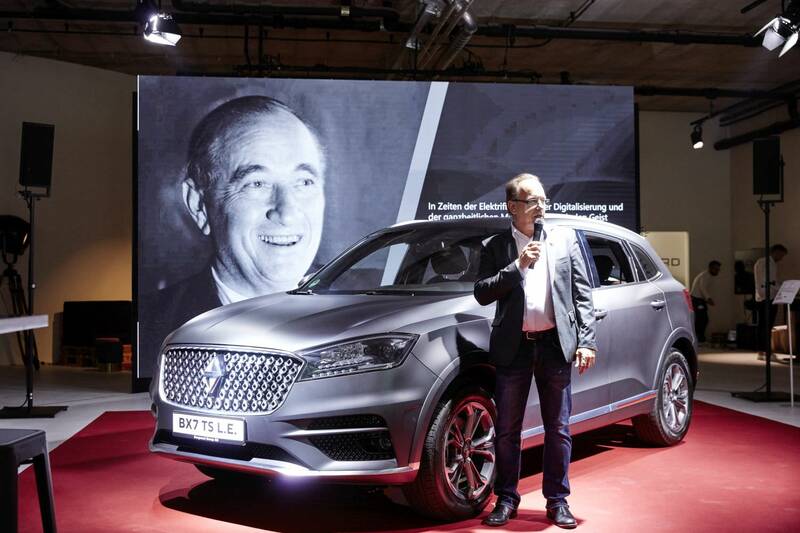 I am not sure Borgward is going about this in the right way when it looks about the same sort of prospect as the anonymous DS. I’d have expected something more comprehensively thought through, beginning with a consistent web-site informing me in the easiest way possible why I’d pay money for something that is not detectably different from a lot of other known quantities who declare their pricing at the stroke of key. It took me 34 seconds to determine a Ford Kuga costs 23,000 euros. And it took me a similar amount of time to find out an Opel Mokkas cost 247,000 kronor. That’s how easy it should be. potatoes entering that grille at speed will become Borgward shaped chips. Add a salted caramel interior for afters and you have a obese and probably flatulent car. Whilst it’s kinda nice to resurrect an old time brand, I see a Borgward grandchild is on the board, this is a clone of all those mentioned above and more. Take away the grille and is it a Qashqai, a Q3, an MG whatevertheycallit, a Qoros, the list goes on as of course does the SUV steamroller. 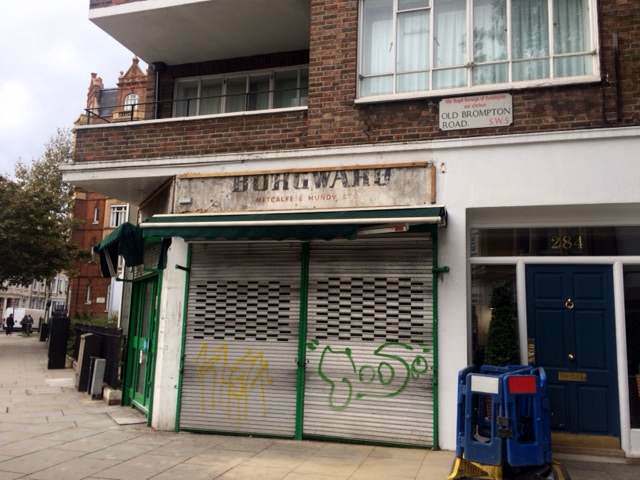 And where can you buy a Borgward or get it serviced? Have all the smiley-faced ones done a deal with Asda; milk, bread, spuds and one of them Borgwards, please? Keep your receipt if it goes off. It is a bit presumptuous of Borgward to describe itself as a “premium” competitor to Audi and BMW (if indeed it did so, as Autocar implies). Borgward may be a lower priced alternative to the German premium brands, but so are many other mainstream brands with a much stronger market presence. Its also a shame that they chose blatantly to copy the Audi Q5 with the BX7 rather than produce something genuinely different. The BX5 is better, but still looks a bit too much like an Opel Mokka to these eyes. Good luck to them, but early customers will be taking something of a gamble (particularly if they are cash rather than PCP buyers). 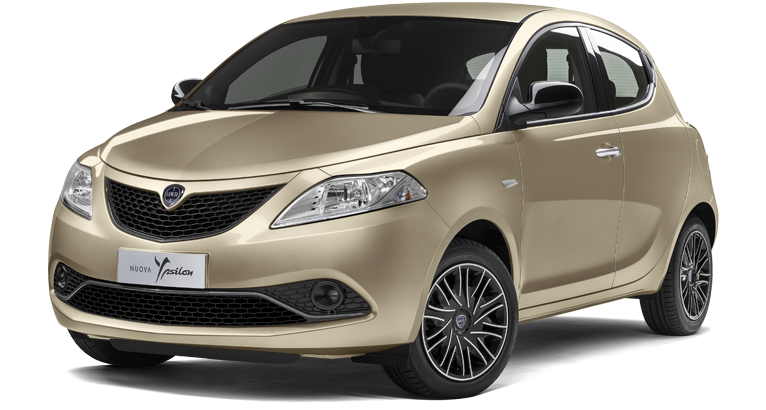 It may prove to be another Qoros, but the immediate comparison is with MG Motor, i.e. a company attempting to trade on a brand heritage that is not its own. That said, does anyone other than car obsessives and those of us who are, ahem, of a certain age have any idea who or what Borgward was? Well, nobody saw that one coming! 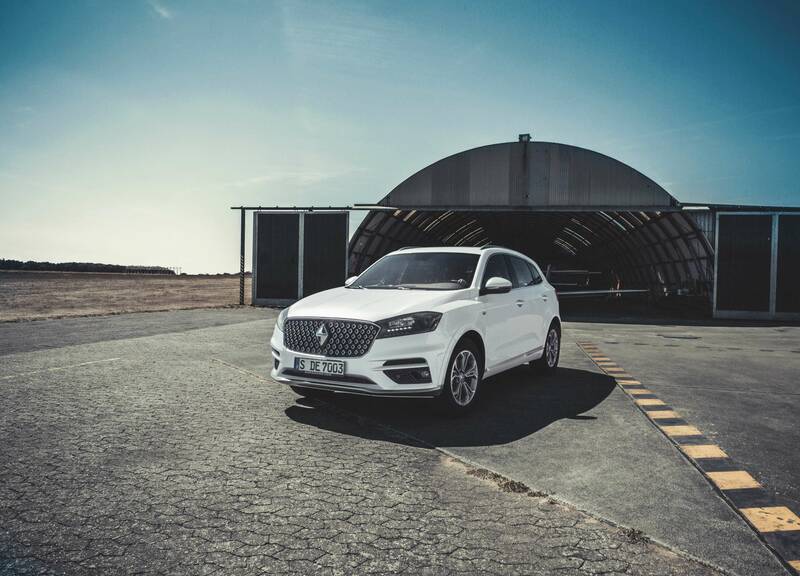 Borgward is returning to the UK and Ireland, by way of a strategic partnership between Borgward AG, the Chinese owned carmaker headquartered in Stuttgart and IM Group the West Midlands-based business services conglomerate. International Motors grew from a parts and servicing operation formed in 1976 in the Jensen Motors works in West Bromwich, battening on the Hyundai, Subaru, and Isuzu concessions in the 1980s. Once they also held the Maserati and DeTomaso franchises too, but now the IM Group makes more of their interests in corporate finance, property, and management consultancy than their automotive activities. As an importer, their glory days were in the 1990s, when the Isuzu Trooper outsold the Mitsubishi Shogun in the UK, and the IMPREZA! appeared almost monthly on the cover of every UK general interest motoring comic. For much of this century IM’s car importing operations have been blighted by unfavourable currency headwinds. Daihatsu was scuttled in 2011, and Subaru and Ssangyong sales in the UK in 2017 were 2679 and 3590 respectively. Applying the DTW gold standard, the White Hen’s worst month last year was August with 2836 sales when everybody in Italy was absolutely broken at Sergio’s passing (or possibly just drunk and on holiday), while in March 2017 8370 Ypsilons were sold in Italy. In 2011 IM Group began imports of Chinese Great Wall Steed pick-ups. Despite 4×4 being offered standard across the range and prices around 60% of the equivalent Hilux or Ranger, sales failed to meet expectations and effectively ended in 2016, although the brand still appears on IM’s website. Quite whether a three-row petrol-only Audi A5 clone that’s been around in China for nearly three years is the fillip IM need is open to question. Autocropley notes that the BX6, a coupe-SUV derivative of the entry level BX5 is being readied for the RHD South African market. At the right price it may make some progress in the UK. I’m using the similarly sized MG ZS as my bellwether here. It starts off at £13K in the UK, and could well outsell Subaru or Ssangyong on its own – MG Motor UK look set to double their 2017 figure of 4442 vehicles this year. Once IM was an effective springboard for manufacturers entering the UK market but not able or willing to do it on their own. Their recent record gives less confidence, but the reality is that the market is now far more challenging, with badge-mania, production overcapacity, and PCP-based financing making it hard for unknown newcomers to gain traction. Pricing is going to matter too. I’ve just converted the €44,200 price of the BX7 TS Limited Edition to Sterling and the UK VAT rate. Call it £39,500. So much for “affordable premium”. That money should get you into a 4WD Q5, X3, or XC60. If three rows of seats matter, go for a nice Kodiaq or Tarraco, and expect to have the price of a damn good holiday left over from the BX7’s list price. Borgward AG must be getting something right, as the fully loaded BX7 TS Limited Edition is already sold out. Fret not – they’ll sell you a regular BX7 TS for… €44,200. Despite the promising start, I detect an impermanence to Borgward’s “home market” sales model. No dealers, that’s so last century. Instead there will be “test drive centres”, mobile sales teams, pop-up events and delivery direct to the customer. Servicing is provided by Auto-Teile-Unger, a parts and servicing business with 557 branches across Germany. Have Borgward AG been looking at what Daewoo UK did in the 1995? I can only wish them better luck. I can’t deny my thrill at the prospect of the red and white rhombus appearing on Subaru / Isuzu dealership facias sooner than expected, but the successors to Metcalfe and Mundy have a challenge ahead. If they team up with A.T.U. (Unger) that will be a non-starter. ATU is a backyard company and there’s no way cars serviced by them will be seen as serious competitors to the established brands. That reminds me of BL’s attempt to sell their products through a cooperation with a chain of DIY shops in the Eighties. That also was a non-starter by definition and a silly idea from the first minute. It won’t do for Borgward to send the customers to the German equivalent of Halfords or Kwik-Fit. A premium product needs a premium after-sales experience – or so we are told. My neighbourhood BMW outlet seems to have missed out on that particular memo. There’s a three week lead-in time for a routine service, when I arrive it’s 25 minutes before I can have an ‘appointment’ with a clueless ‘service adviser’. Presumably the typical customer is either retired, unemployed, or so important that it doesn’t matter how late they turn up at work. While I wait, a strident commercial radio station is playing, mainly adverts for sub-prime loans and accident compensation lawyers. There are a few cars on display in the foyer – some of BMW’s nastiest offerings; a 218d Gran Tourer, an X1, and a five-door MINI. There’s also a pre-reg Fiesta ST, explicable only as the dealership – despite the name on the facia – is part of Arnoldae Clarkescu’s empire. The uncrowned Conducator of Scotland can do what he damn well likes, even from beyond the grave. On the BMW-branded forecourt, pride of place was given to to quite a large number of pre-registered zero-miles Caymans and Boxsters. The only saving grace was that, come the time of reckoning, the dim-witted service adviser had over-estimated the bill by £200. I’m told that JLR and Lexus do premium after-sales far better. In my experience even Kwik-Fit do better. Subdued music, an interesting and well-produced Hankook video on the big screen, and perfectly acceptable coffee. How does Herr Unger’s outfit compare? A.T.U. is legendary for ripping off their customers by talking them into unneccessary repair work at excessive cost. Their quality of work also leaves a lot to be desired. Trying to sell products at exaggerated prices through a network of backyard/garden shed dealers was one of the factors that killed the Rover 75 in the German market. Having to walk over loose gravel to see the Rover in a showroom full of Ladas or Subarus didn’t make it an attractive alternative to the established competitors. Intolerably bad after sales service made me walk away from Alfa after more than twenty-five years and more than a dozen of their cars. Only after converting to Audi did I experience proper customer service of the finest order.